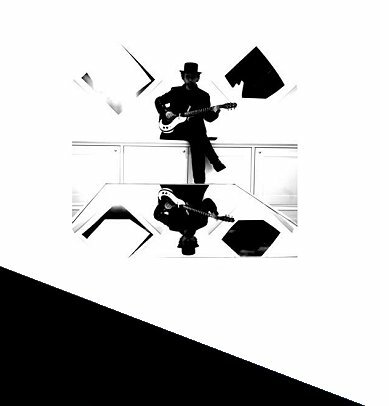 "..hard picking, sinuous baritone guitar and growling vocals.."
Born in London but raised in the deep south of the United States, Ben’s musical style reflects these experiences. His guitar playing is an intoxicating blend, from the raw delta blues of Robert Johnson to the powerful soundscapes of Jimmy Page. This combined with a soulful voice and commanding stage presence completes the picture of a very unique artist. 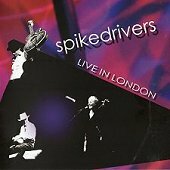 In 1992 Ben formed the Spikedrivers, they have released seven albums including many of his original songs. He has also composed music for Channel 4’s ‘Car Wars’ and performed with Lee Sankey, Roger Askew and the Royal Shakespeare Company. An interview with Ben for a Belgian Blues Magazine. 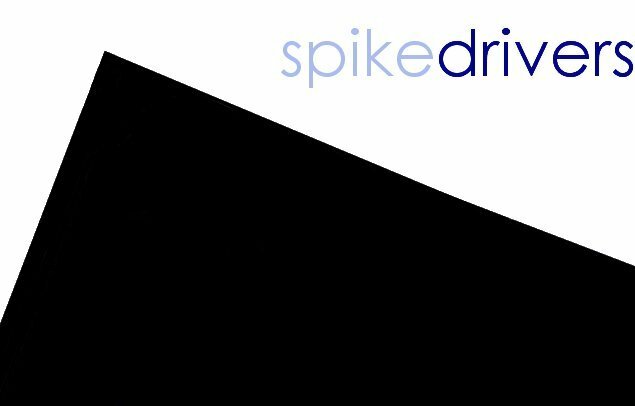 Ben Tyzack you are in fact the founder of The Spikedrivers! Where and when where you born? I was born in London in 1963. I read on the website you moved a lot during your childhood. What was the reason? When I was 7yrs old my family moved from London to the United States. My father was offered a teaching job in the art department at the University of Iowa in Iowa City. The position was initially only for one year but things went well and it kept getting extended. After 5 years we moved to Charleston, South Carolina. This move was job related as well. In 1980 I moved to Atlanta Georgia to further my musical career before returning to the UK in �86. What kinds of music styles are related to the places you have lived? In the 70�s Iowa City being a university town had its fair share of rock music, but I do remember going to big partys on local farms where there would be bluesgrass and more folk music being played. The band usually performed on a flat bed truck next to the corn fields. Although bluegrass doesn�t originate from that area, to hear that kind of rootsy music in a rural setting made quite an impression. Charleston is where I started to play guitar and perform with local bands. Southern Rock is a style that was popular at the time. Bands like The Allman Brothers and Lynyrd Skynyrd were on the radio a lot, and had a lot of blues influences in their music. Although I wasn�t playing in a finger picking style a the time, the style know as Piedmont Blues originates from the piedmont area of Virginia, North Carolina, South Carolina & Georgia. This later became a crucial part of my appoach to the guitar and also songwriting. Blind Blake, Blind Boy Fuller, Reverend Gary Davis and Brownie McGhee are a few examples of musicians who came from this area. How did you start playing music specifically? What has followed? What persons have influenced you in the direction you are following now? I�m very lucky to have been brought up in a musical family. As well a my dad playing trumpet. My mom (Patzy Tyzack) plays piano. One of her musical passions is Ragtime. Hearing this music as well as early Jazz was denfinitely a big influence. There�s quite a cross over from Ragtime piano to fingerpicking guitar. For instance: although you can�t get the wide range of notes and harmonies that you can on a piano, the syncopated rhythms and chord structures suit the guitar well. It was great to have some of that music in my head before even learning how to play. I was 14yrs old when I started to play guitar. It was my mom who noticed me miming with a guitar along to records (we call it �air-guitar� in the states!) and asked if would like to take some lessons to help get me started. The lessons lasted for about a year. I was learning the basics and playing a lot of Beatles songs, getting familiar with different chords and structures. Then I became friends with a local boy named Everett Bigby. Wow! This guy could play! It�s also the first time I�d seen someone play electric guitar. He taught me how to play �Jumping Jack Flash� on an old Gibson Melody-maker through a Fender amp, and boy that was it, I was hooked. Everett played with a local band called Raven. Some how he managed to convince the other members that I should join the band, even though I�d only been playing for a year and a bit. It was a wonderful experience. Along with Everett there was Parker Benton (Drums) and Chuck Bartell (Vocals). There were too many bass players along the way to mention. It was a bit like Spinal Tap and Drummers - except they didn�t spontaneously combust! The music was hard rock. Aerosmith was a big influence as were Led Zeppelin and the Allman Brothers. As well as performing cover songs we also wrote and recorded a lot our own material. We were such a tight unit musically and as friends, growing up, getting in trouble and having a blast playing music. I can�t imagine how my life would have turned out without playing in this band. I learned through this experience what the difference between just a bunch of musicians who get together and play music and musicians who bond together and create original music that comes from an intuitive and collective source. Since then I have all ways tried to recreate this creative environment, but without so many cops getting involved. After that Parker and I joined David Rowell, a singer songwriter who�d been working in LA and came back to Charleston to form a band. This was completely different from the rock stuff. David�s influences were more like James Taylor, Elvis Costello and The Police. This really stretched me as a guitar player. David�s music was always song based as opposed to jamming. We recorded an EP titled David Rowell & the Reaction, with Sam Merrit on bass in �84. David also introduced me to the wonders of home recording. I borrowed his tape machine and started to write and record my own music, which was mostly instrumental at this point. I joined an established Atlanta band called the Heathen Girls around �85. To begin with I was learning and performing their previous material. As the band started to play less frequently I developed a song-writing partnership with the singer, Rose Whipper. The music was sort of new wave/pop rock. At this point I had bought my own 4-track recorder. As well as developing as a songwriter, I was experimenting with sounds and recording techniques. As well as writing quite poppy stuff with Rose I began to listen to lots of blues. There was a college radio station in Atlanta that played 2 hours on blues every morning with no commercials! Plus I was doing some work in a record store warehouse, so I could quite easily investigate everything that I heard. It was around this point when a friend I was teaching guitar to gave me his old acoustic. I remember he said that the action (height of the strings off the neck) was a bit high but maybe I could use it for slide. I owe this guy a lot as a completely different world opened up. Since then the style of slide/bottleneck guitar has become a main feature in my playing. I moved back to London in �86 playing in various bands and projects, but nothing seemed to develop much further that the rehearsal stage. I was pretty frustrated and really wanted to front my own band and to play the rootsy blues stuff. But having never been a lead vocalist it took a while and a few singing lessons to get things going. I did a finger-picking guitar workshop with Stephan Grossman which sharpened up my playing and gave me confidence to from my own band The Spikedrivers, which started in March �92. Have you always been playing guitar? I did study piano when I was around 7yrs old, but only briefly. I still like to plunk around but I don�t know what the hell I�m doing. Besides the guitar the only instrument I play seriously is the harmonica. Your father is an art teacher, can you tell something more about him? My dad still teaches art in Charleston, S.C. where he has become the chairman of the fine arts department. He studied art during the 50�s at the Slade School of Fine Art in London. As well as developing as an artist, he continued his interest in jazz. He has had exhibitions of his work here in London, New York, Washington DC, Vancouver and elsewhere. His works can be seen at the Tate Gallery in London, National Gallery of Wales, and the Victoria and Albert Museum among others. He works as an abstract painter, as well as playing Traditional Jazz. Since you began The Spikedrivers, have you always been playing with Constance & Maurice? How long have you played together? How long have The Spikedrivers existed? 1994 - Chris Baker - drums, Olly Blancflower - double bass, Roger Askew - keyboards. Do you have any plans for the future with The Spikedrivers? At this moment there are definitely no shortage of plans! After receiving many requests for a live CD, we are planning to record a selection of our concerts this year to be released soon. This CD will feature many songs that we have been saving especially for a live recording. We are really looking forward to having an album that captures the energy of our live shows. We have also begun working on a lot of new songs and we will be recording a new studio album of this material in the autumn. There will be a re-release of the early Spikedrivers recordings this year too. It will feature all of the original songs from 'Delta Boogie' (1994) and 'Whiskey River Blues' (1999) on one CD. In between all that there is a fairly busy live schedule. We will be performing at a variety of festivals and venues throughout the UK and we?ll also be travelling to Italy, Finland and Belgium. Do you have any other projects beside The Spikedrivers? The Spikedrivers take up most of my time but a while back I had the chance to work for the Royal Shakespeare Company. I was part of a bluegrass band in their production of 'The Winter's Tale'. It was my first theatre production, and I was amazed to see how a huge production comes together. It was a wonderful experience overall, but the highlight was playing with some brilliant bluegrass players. The Bluesgrass band featured: Bob Winquist-Violin, Richard Collins-Banjo, Ben Grove-Guitar, Richard Lee-Double Bass and Michael Gregory-Percussion. I was playing slide guitar and some harmonica. Now it can be told! London based again, Ben proudly displays his Iowa/South Carolina/Georgia beer can collection, relocated to London at great personal expense! And you thought he just played music. I find it quite amazing that as Maurice, Constance & I enter our 10th year playing together, there is still plenty of inspiration and enthusiasm. The chemistry that we have just seems to generate things and as musicians we are always excited about what is possible next. I know that I sometimes jump ahead a bit and can forget about what is happening now. As a songwriter I usually write a whole new batch of material just after recording a CD. I guess the completion of an album can create a bit of a vacuum that can provide fresh areas to look into. As well as new recordings coming out this year we have also re-designed our website. It’s great to be creative visually and very rewarding after doing lots of music. Outside the band I’ve been spending quite a bit of time in France with my wife Katie. We recently managed to get a small property just north of Avignon and have been fixing it up, eating lots of fresh apricots and sampling many fine wines. Since I spent many years doing building, decorating and carpentry work it’s something I love to do. Again as a contrast to music I absolutely love to just build things out of wood or restore an old piece of furniture. I find this can release a lot of ideas and I’ve written quite a few songs while sanding away or painting a ceiling.